Q. How are you feeling after your session on court just now? RAFAEL NADAL: Fine. I practiced for two hours. So having day off yesterday, today I felt with energy to practice a little bit more. I felt that I needed to move well the body, to stay with rhythm. I did, and I am happy, no? Enjoying these two days off. Q. Did you stay up late last night watching the match the other match? RAFAEL NADAL: I watched the second set, beginning of the third I went for dinner, and I came back after the 4‑1 in the fourth and I watched the rest of the match. RAFAEL NADAL: I think the second set was fantastic. Was really impressive level from both of them. First set I didn't see, but the fourth seems like Andy was very tired. He wasn't ready to play the fourth, and Nole was much more fresh.The fifth seems like Andy was very tired, too, because Novak have the control of the situation. But in the 5‑3, Andy break with Love‑40, so after he had fantastic chance. With a 5‑4, 15‑40, he little bit of mistake with the forehand in the return on the deuce on the 15‑40; 30‑40 was an amazing point. Djokovic finished with unbelievable forehand down the line.Another point for Andy, big mistake to the net for him with his backhand. He didn't miss not one backhand during all the match, and he missed in that moment. It was a tough moment for him.After when that happens, playing for four hours forty‑five, it's normal you will be in trouble in the next game; Novak plays well and match was done.It was an emotional match, and I enjoyed watching on TV. Q. Novak's coach said yesterday that it's unfair that he has only one day rest and you have two days. What do you think? RAFAEL NADAL: Well, that's what it is. 2009 I played longer than him in the semifinals. I played more than five hours at very high intensity, too. I had only one day and Federer had two, no?I was recovered for the final, so I think you can say it's unfair, yes, but not crazy unfair.Really unfair is the US Open when you don't have day off between semifinals and final. That's really unfair. If the match of yesterday happened in the US Open and the other semifinal is in straight sets, you are in big trouble for the finals.Having one day off, I believe you are not in big trouble. Q. What does it mean for you to face another time Novak Djokovic in a Grand Slam final? 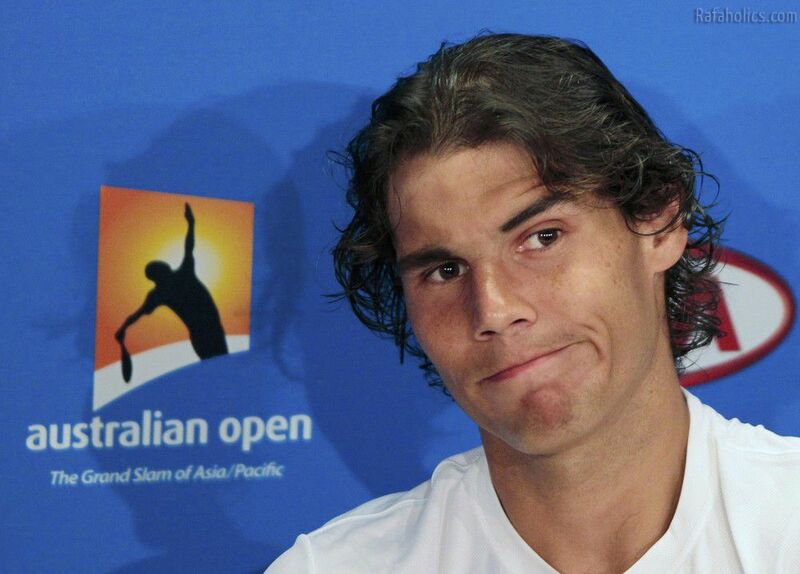 RAFAEL NADAL: For me what means is I am in the final of another Grand Slam, fourth in a row. Happy for that. The opponent at the end is the best player of the world today, so that's why I played the last few finals against him.So will be always a really tough match for me. He is the favorite after being No. 1 in the world and after playing fantastic and beating me the last six times. So just happy to be there.For me, the tournament is really, really good. Right now I going to try to play my best tennis and fight every ball knowing that is going to be a tough one. Q. Do you think with the changes you've made to your game in the off‑season, the things you're doing differently, can you surprise him tomorrow with some new things? RAFAEL NADAL: I am trying to play a little bit more aggressive and hit more winners. You know, the improves that I want to do is not complete.No, no, I didn't practice a lot with that, so I need time to play with this aggressive plan during all the match.Probably I need few more months and tournaments. But I am happy how I am doing, no? I don't know if going to be enough for him. I going to try to play well like I did all the tournament.I need to play a little bit better, in my opinion, to have chances, but I am happy about how I am doing. I think I'm in the right way to compete against the top players of the world. I did here winning against the No 6, against the No. 3.So it's is fantastic way to start season. Now is another big, big test. I don't know if I am enough ready to win the match of tomorrow, but I believe that I can do it and I going to fight for it. Q. You remember what it was like of course last year coming in here going for the slam. It was at that stage. It's slightly different now, isn't it? You can understand what the expectation is like on Djokovic tomorrow because you've been there. Is that a tough thing to do? 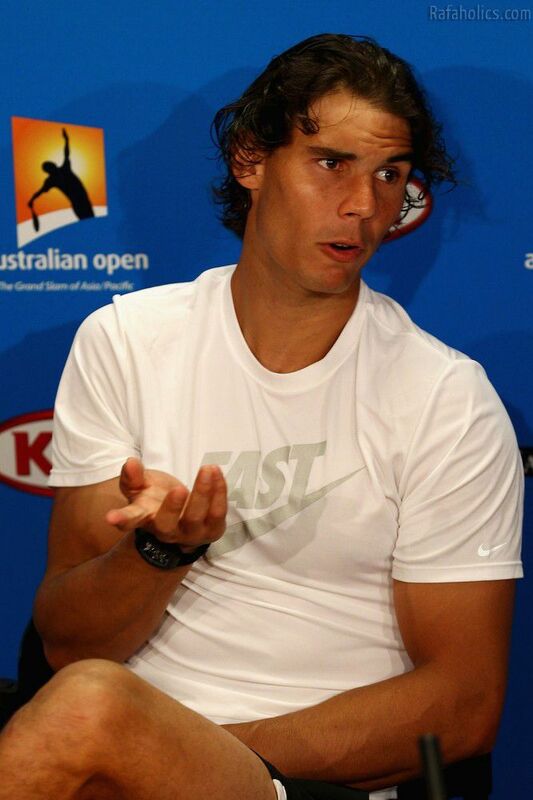 RAFAEL NADAL: He is not playing for the Grand Slam. Q. No, no, but he's the No. 1 player in the world and playing for three in a row. It's a tough situation to be in. 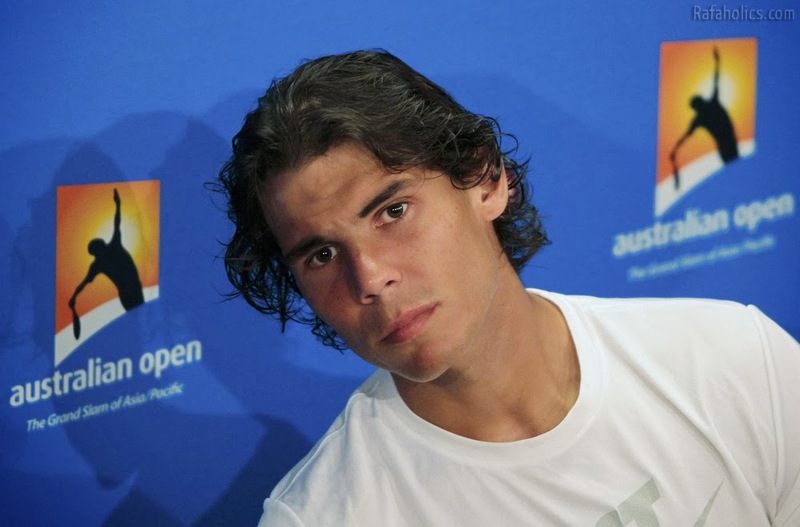 RAFAEL NADAL: No is a fantastic situation to be. (Smiling) It's really not a tough one. No, I played for the three in a row US Open 2010. When you are coming with that confidence everything is a little bit easier, no?I was a little bit unlucky here last year when I played for the Grand Slam. I didn't feel the extra pressure for that. That's true. I felt that I was ready to compete. I had an injury in the quarterfinals so I was out.That's it. Go home. Keep practicing. I think for him is an advantage, not a pressure, to be in that situation. Q. Novak's coach said yesterday that it's very difficult to make winners because the balls are very heavy. Do you feel that way? RAFAEL NADAL: For him is being very difficult. Seems like he cannot do one winner. (Smiling.) No, he's playing very well, no? He's doing fantastic tournament. Q. Do you feel with the ball it's difficult to make winners? RAFAEL NADAL: No. I feel it's difficult to make winners when the weather conditions are cold. When the weather conditions are warm or hot, I think the ball is the right one.When it's cold, for example, the week before the tournament it was very cold here. The ball was very big, very heavy. I don't believe today it's happen. Q. Novak has been having some trouble with breathing in the last two matches. Do you think it'll be a factor tomorrow and something you can take advantage of? 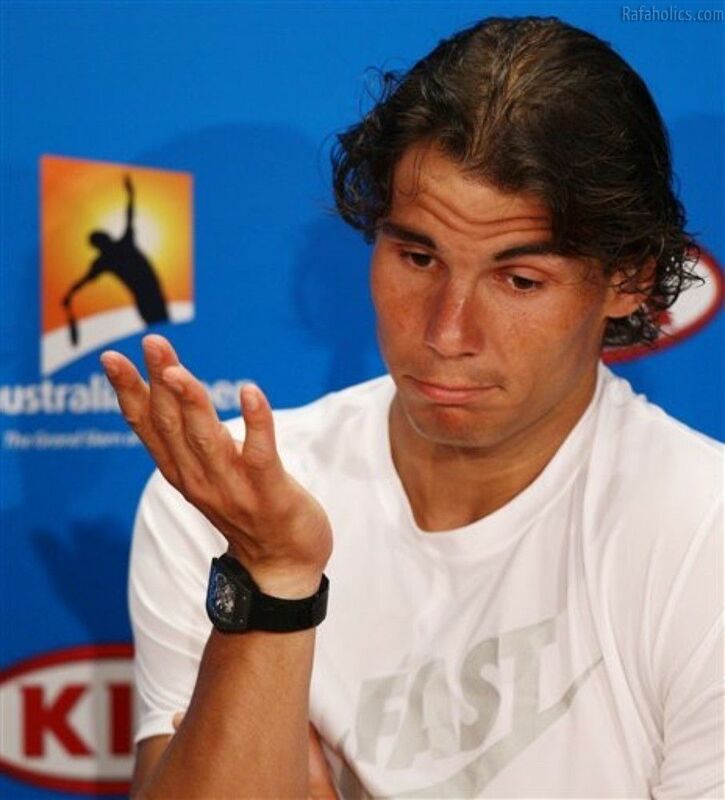 RAFAEL NADAL: It's funny, no? I saw the match yesterday on the TV she show on the Channel 7 when he was in the fifth set moving fantastically well, and they show images from two hours fifty before and seems like he was destroyed. Two hours fifty later he was in perfect condition.So is difficult to imagine that he has these problems. I don't know. Q. Andy said last night that he thought he had closed the gap on the top three. Do you feel there has been a little to choose between yourself, Roger, Novak, and Andy now? RAFAEL NADAL: He never was very far. That's the true. He's playing well. He always played fantastic. He's unlucky not to win a Grand Slam yet.Yesterday he lost another very good opportunity, in my opinion. Because winning two sets to one, winning the third set, probably losing a lot chances, and then winning with 7‑6 ‑‑ to win a tournament like this and to play against player like Djokovic, you cannot start the fourth set like this.It's the moment to play with more intensity than ever, not start with 3‑Love down and two breaks in five minutes. That way you lose the match. You want to win the tournament, you cannot start ‑‑ you can lose ‑‑ the other can beat you, but you cannot lose in the beginning.But he's playing well. He's playing fantastic. He deserve to win a Grand Slam. He was unlucky at the end, but the only negative thing for me in his match is the beginning of the fourth.When the other have more doubts, is in really trouble, you make for the opponent easier than what should be, no? That's my feeling.For the rest, he can be No. 1 at the end of the season. I don't have any doubt on that. The level is there. When you are able to play how many, five Grand Slams in a row playing semifinals or final, it's only a mental thing.The rest of the things are there. He started the season another time playing very well winning a tournament, playing semifinals here, and few points away to win against No. 1 player of the world.He's ready for everything. Q. Can you remember a situation that you were in like that when the expectation was to go on and win a Grand Slam and you got very close and how you coped with that situation manage your mind? Because as you say, so much of that sport is what happens in the head. RAFAEL NADAL: I was lucky in that situation, because I really didn't had that pressure or that feeling to win a Grand Slam.And the first time that I went to play a Grand Slam with the feeling that I can win Grand Slam, I won. That's the true.Because we talk about the Roland Garros 2005, that's the really first one. Few months ago I really started to play well, I really started to win, and was in the first Grand Slam that I arrived with real chances to win.Before, wasn't the chance. I played in Australia and make Round of 16 against Hewitt with chance to be in quarterfinals, but knowing that I don't going to win never, no? But in that moment yes, and I won. So that's a little bit of lucky that I was there.I did. And after winning one, it's easier win two. After win two, it's easy to win three.